A few years back, a flagship device brought with it a revolutionary feature. Nowadays, a flagship device brings along various leaks, revealing the so called feature. The latest victim of a leak is the alleged Nokia 9. A picture of a Nokia device with five cameras has surfaced recently and could possibly be the upcoming flagship. Five Cameras, how is that even possible you say? Well, the smartphone industry has gone through radical changes in the past few years so its not so unbelievable. We have arrived at a juncture where we have three cameras, in display fingerprint scanners and sliding cameras! 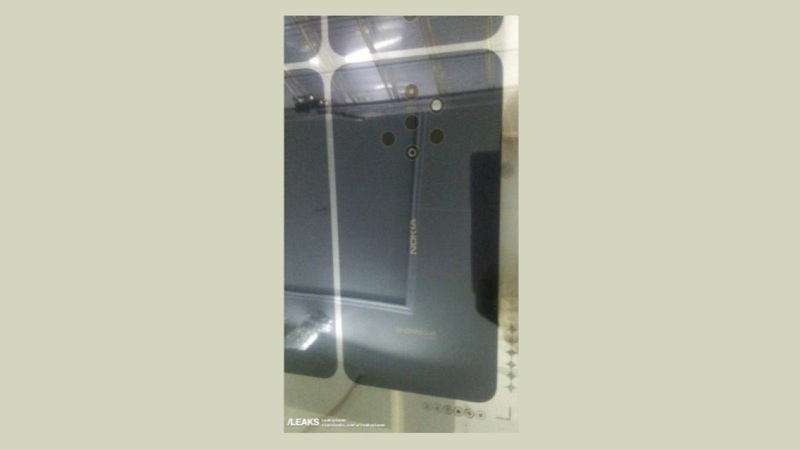 The leaked image shows a device with the Nokia branding housing five lenses and one flash on its back. 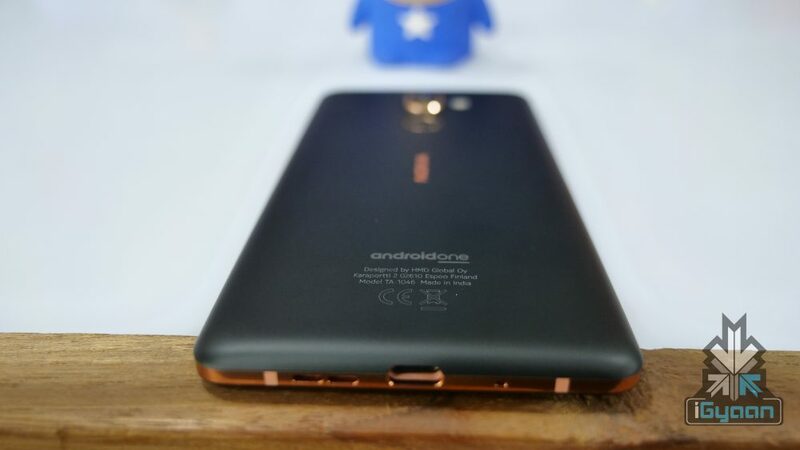 The device is also seen to have an Android One branding, hinting at a clean, stock android experience. The image does not give us a clearer look at the smartphone since it appears to have been taken through a glass panel. What is interesting though, is the fact that the arrangement of the 5 cameras is very similar to a technology patented by Zeiss. It is common knowledge that Nokia uses Zeiss lenses for its smartphones. The Zeiss ‘Miniature Zoom Camera’ technology arranges multiple smaller lenses in a circle. This would consist of an image sensor, normal lenses and a second group of rotating lenses with different focal lengths. Therefore, these would ensure different zoom levels without the need to use a larger module. The Nokia 9 is a much awaited flagship and some more rumours about the specifications have been doing the rounds. The device is said to have a 6 inch AMOLED display with an in display fingerprint scanner. The lack of a fingerprint scanner in the leaked image could point to the same. The device has the Snapdragon 845 SoC with 8 GB of RAM, according to reports. Along with this, it will reportedly have IP68 certification, 256 GB of storage and a 3900 mAh battery. Although the leak may seem to be unusual, we can’t totally dismiss it. With the leaps and bounds in smartphone technology and a need to get back int0 the smartphone market, it will be interesting to see what Nokia brings with its next flagship. Recently HMD acquired the Pureview trademark back from Microsoft, could this be the next Nokia Pureview phone? Only time will tell.